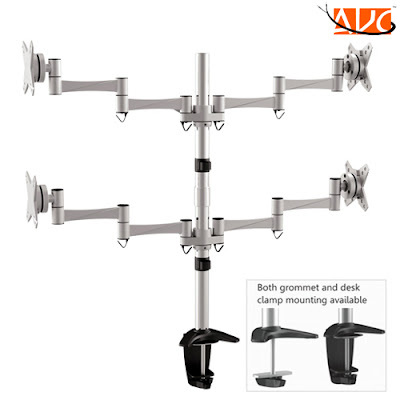 Support four monitors up to 27’’ elegant aluminum LCD VESA desk mounts for 13”-27” monitors. The weight capability is 8kgs/17.6Ibs for each arm. Full motion structure allows maximum flexibility — extends, tilt and swivel your monitor up to 90° left and right for easy viewing. Its ball-joint structure allows smooth, effortless tilt motion for any direction, making it easy to reduce glare and find the perfect viewing angle. You can also adjust the monitor vertically to a desired position. Besides, it has a nice appearance. 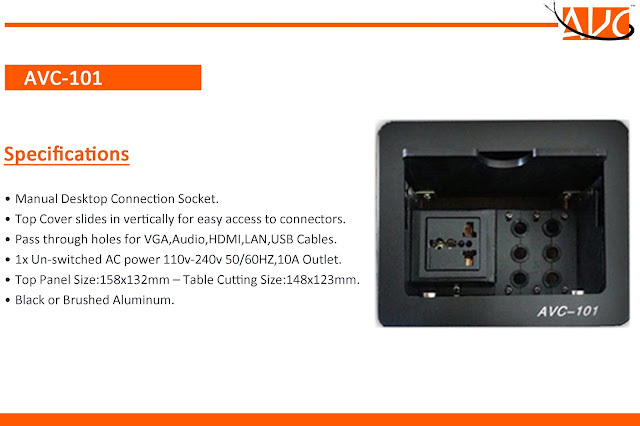 Cable clip is included for organizing cables. It supports up to four monitors.